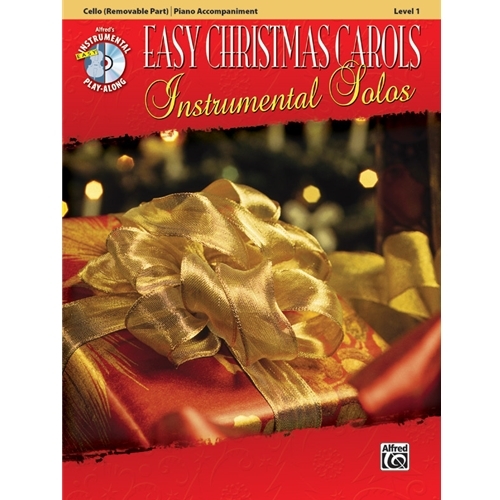 This book is part of an instrumental series arranged for Violin, Viola, and Cello. The arrangements are completely compatible with each other and can be played together or as solos. Each book contains a carefully edited part that is appropriate for the Level 1 player, as well as a fully orchestrated accompaniment CD. The CD includes a DEMO track of each song, which features a live instrumental performance, followed by a PLAY-ALONG track. Titles: Angels We Have Heard on High, Away in a Manger (Medley), Come, Thou Long-Expected Jesus, Go, Tell It on the Mountain, We Three Kings, Hark! The Herald Angels Sing, It Came Upon a Midnight Clear, Joy to the World, O Come All Ye Faithful, O Come, O Come, Emmanuel, O Little Town of Bethlehem, Silent Night, The First Noel, What Child Is This.